School uniforms – it’s a sensitive subject and not easy to get right. Which is why an approach taken by the Condamine School in Monaco is so interesting. Instead of bulldozing straight into a solution they, with the guidance of the National Department of Education, have taken a group of students and tested a mini-uniform. In fact, cleverly, they do not even call it that. They call it a dress code. In essence the centre-piece is a polo shirt or blouse for the boys and girls with a nice big school badge on it. Imagine just a neat, clean white polo blouse with a decorative badge. The badge is distinctive and an emblem that leaves no doubt you are a student of the Condamine School. The result is impressive when you see the children all wearing it. And to enrol 210 children from interested families builds consensus and allows for changes before taking a firm decision for the whole school. The French press even got interested in the affair and the essence of their reporting included some grumbling about the quality of the material, some fussing around the design and the fit. 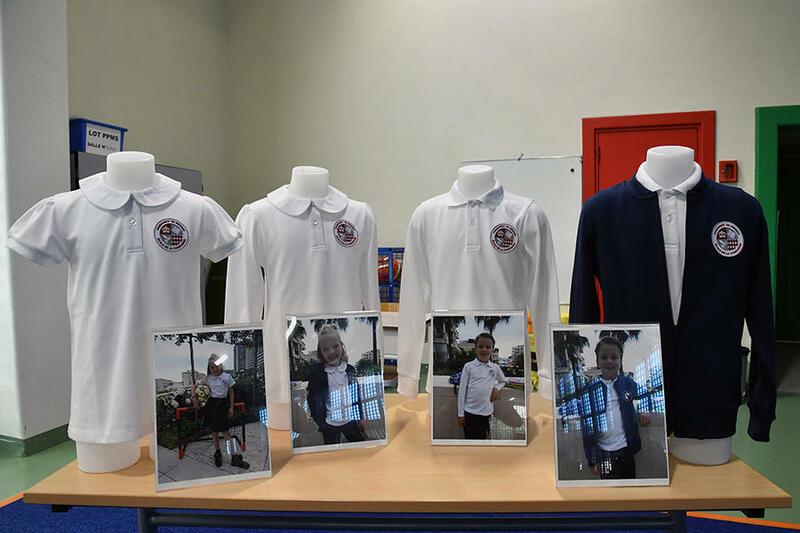 But the reports also included strong statements from the National Department of Education, on behalf of the school, about how positively the mini-uniform had been received by parents and children alike. And there is good evidence for how well the dress code has gone down from comments on Facebook and also two organized campaigns for feedback from the designers of the program. So the upshot is a determination to go ahead and adopt the mini-uniform for all 332 of the children. In fact, the school is calling it a dress code rather than a uniform. It’s important to build consensus and an intelligent choice of title to the program (dress code rather than uniform) has obviously helped it succeed. 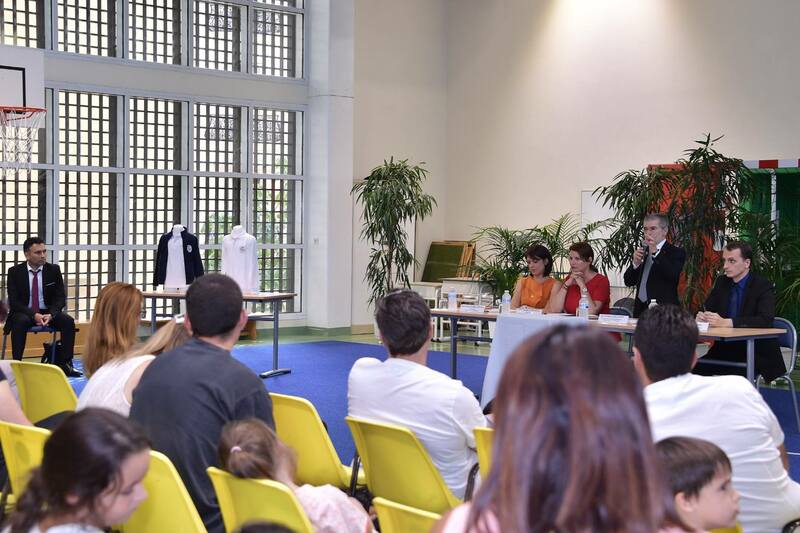 A new supplier, the Monegasque company Vermillion has been chosen to make improvements to the clothes. The material is higher quality, number one. Number two, there is a separate fit for boys and girls instead of the original unisex design. And there is an attractive Claudine collar for the girls’ polo blouses. Parents have the freedom to buy the uniforms where they like as long as the design conforms and the look is not spoiled by brand names. There’s a lesson in all this for how to build consensus for programs that are socially sensitive. And also, to treat feedback (including the grumbles) constructively and improve the program. Pass the Condamine school in 2018 and you will clearly see the boys and girls in their new “dress”. A move forward for the school and a move forward for the children and their families. Good looking kids, dressed well. What’s not to like!